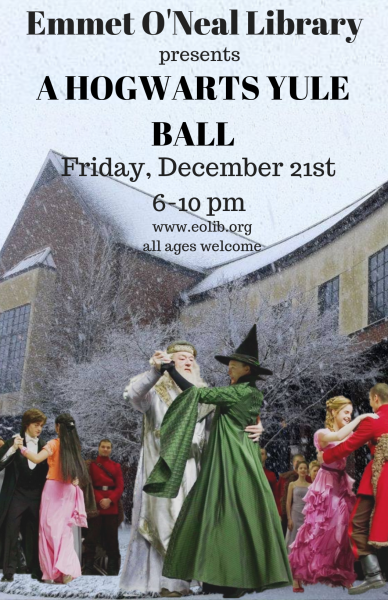 Grab your favorite witch or warlock and apparate on over to The Emmet O'Neal Library for our second Hogwarts Yule Ball. Costumes and formal dress encouraged at this event. We'll start the night with trivia and some games and a costume contest and end it with a dance concert by none other than, Andy Harris and his Wizarding Witches. All ages are welcome, but this program is primarily geared towards 9 years old and up.